/ Veterinary pathology & Poultry diseases Dept. �	Immunity and prevention programs in viral diseases of poultry. �	Food additives in poultry industry. 1. Adnan N. Al-Asadi, Haider Tuma Kaab, Ahmad K. Kalf and Anmar A. Majeed 2008 Effect of Supplement Fresh Liquid Whey To Drinking Water on Broiler Performance. Iraqi Poultry Sciences Journal 3, 121 � 127. 2. Haider Tuma Kaab 2008 Isolation of Cryptococcus neofrmans from pigeon dropping and study of some pathogenesis aspects. Journal of University of Karbala 4th Sci. Conf.of K. U.2008. 3. Suad Gazi, Ahmed K.K. and Haider Tuma Kaab 2008 Isolation of Four Types of Bacteria that Cause Kidney Damage in Broiler. 4. Study the effect of coloration diet on Broiler Performance. 6. Alkassar A.M.A., Haider Tuma Kaab and Husam M.A. 2012 Evaluation of parent tetra SL performance in hot climate. 7. A.Y. Al-Shukri, Haider Tuma Kaab, Husam Muhsin Abdulwahab. 2012. Effect of Betaine on some productive traits of turkey under heat stress. Journal of college of vet med Kufa university. 8. Haider Tuma Kaab, Genotyping of Candida albicans Isolated from broilers by 25S rDNA Analysis.2013; Journal of Kufa Vet. Med. 11. 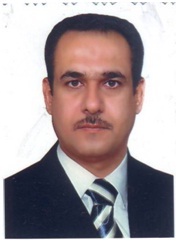 Seminar '' Development of veterinary Curriculum '' in faculty of vet med in Kufa university; Najaf ;Iraq. 16 January 2013.